Good morning! While I am feeling better this week, I am still not sleeping through the night due to a rather large grey tabby cat named Simon. Every night I am deep into dreamland when suddenly I feel myself being pulled out of it. Sometimes it is rather confusing as I go from dream to consciousness, not quite sure what is going on. Last night I was awake at 2:00, 3:00, 3:35 and 4:45. As a result, I slept late (until 7:30) and screwed up my morning schedule. I am going to skip my run and go directly to pulling weeds so I can get it done before it gets too hot. When I bought my star necklace awhile back, it made me want to wear my little star post earrings that I've had forever. But when I went through my box of earrings, I couldn't find them. Alas. So the other day I searched Etsy for star earrings and found these little beauties. A little more than I can afford right now but they are definitely going on my wish list. I am in love with just about everything at the Ellaina Boutique. Beautiful, simple designs. I may have to splurge soon and get myself this super sweet ruffle tank. This viking hat is just the coolest thing ever. Just stumbled across this t-shirt shop yesterday. I especially love the llama t-shirt. So cute. 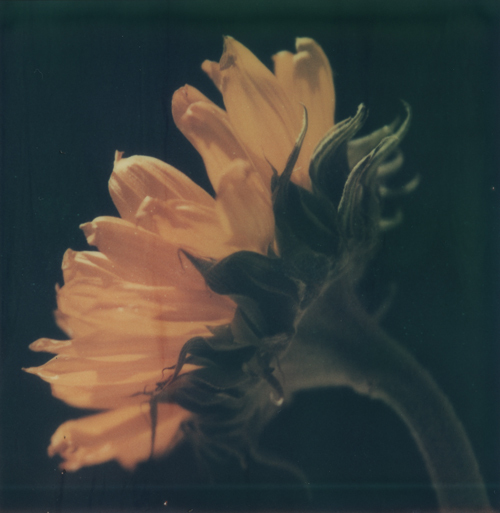 Love the sunflower Pola that Nick Leonard took at the Bellagio conservatory. Somewhere along Route 66, CA. And one more of my new favorite blogs, persisting stars. I stumbled across madelyn's work via the words to shoot by blog as she is a fellow contributor. Her photos are beautiful and dreamy and she is full of poetry and inspiration. I always look forward to finding a new post on her blog. Now I really have to go pull weeds!